View More In Leg & Thigh Lifters. Ease leg and back pain. 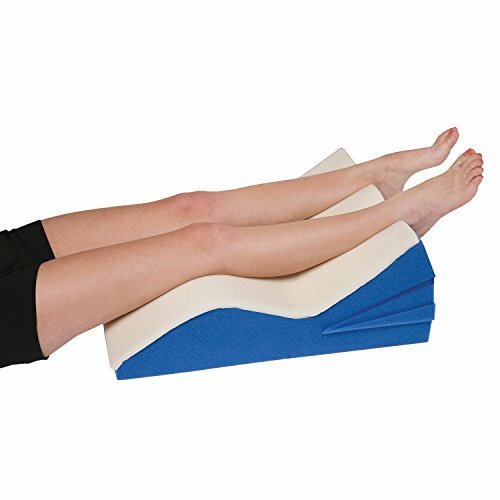 Maximize comfort with this adjustable memory foam-topped leg lifter. Removable wedges customize the lift for the best support. Polyurethane foam with memory foam top. 25" L x 16.5" W x 10" H. Optional poly/cotton cover is machine-washable. USA. LEG LIFTER CUSHION - Contoured to fit your legs, cushion fits under your knees and ankles. ADJUSTABLE - Removable wedges in the base let you get the best support. MEMORY FOAM TOP - Ultra soft foam with just the right amount of firmness. WASHABLE COVER - Optional cover made of comfy poly-cotton blend. Machine washable. MEASUREMENTS - 25" long x 16.5" wide x 10" high. If you have any questions about this product by CALLA HOLDING LLC., contact us by completing and submitting the form below. If you are looking for a specif part number, please include it with your message.